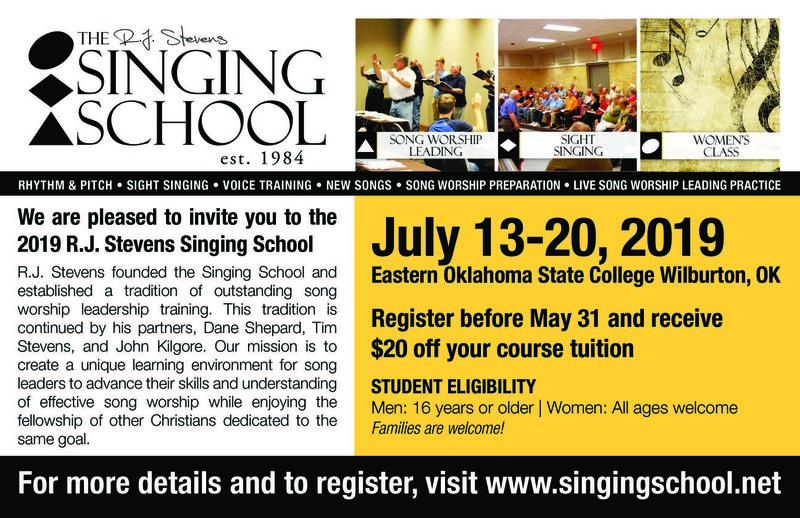 We are pleased to invite you to the 2019 R.J. Stevens Singing School in Wilburton, Oklahoma. R.J. Stevens was the founder of the Singing School. The tradition of outstanding song worship leadership training which he established is continued by his partners, Dane Shepard, Tim Stevens, and John Kilgore. 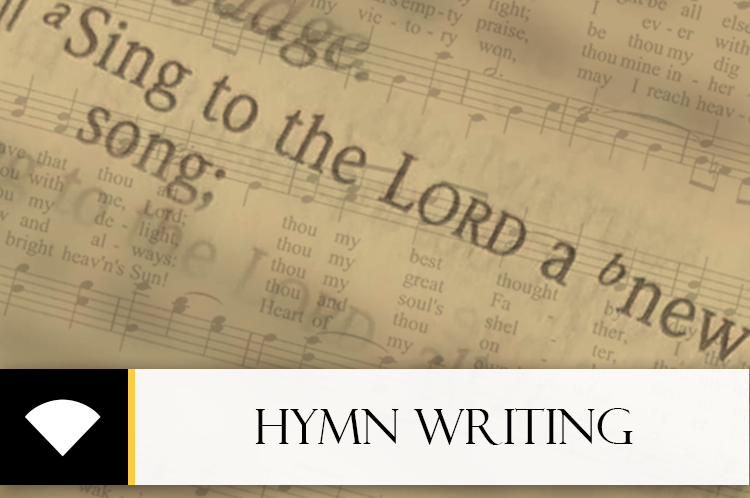 Our mission is to create a unique learning environment for song leaders to advance their skills and understanding of effective song worship while enjoying the fellowship of other Christians dedicated to the same goal. Training is provided in Song Worship Leading, Song Worship Preparation, Advanced Sight Singing, and a special women’s class instructed by Glenda Schales. Know someone who could benefit and enjoy attending this year's school? Feel free to share this flyer with anyone you might know who would like to spend a week learning how to excel in their song worship leading and sight singing abilities.